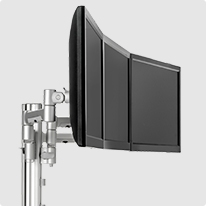 The AWM-FC desk clamp is a part of the Atdec modular family. 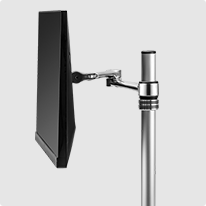 Due to its compact design the clamp is often used where there's a potential of interference with the elements under the desk such as cable cages. 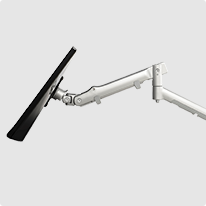 Top mounting installation ensures quick an easy attachment. Suitable for desks up to 33mm.